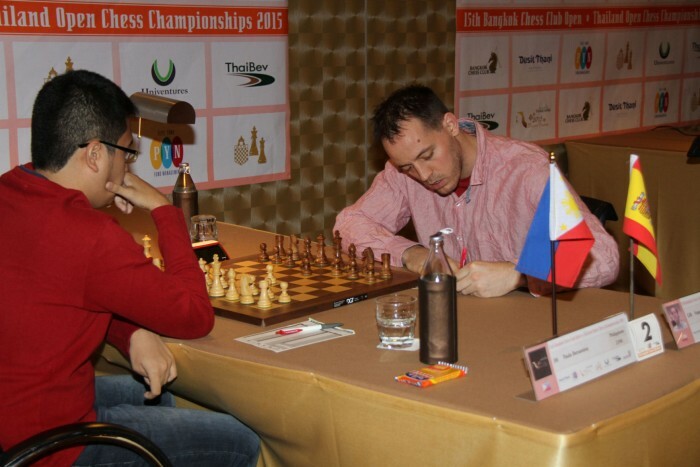 A pack of ten players, including 8 of the tournament’s 20 Grandmasters, lead with a perfect score after three rounds of the Thai Chess Open in Pattaya. 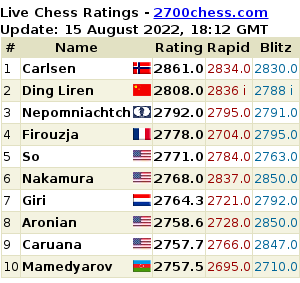 The ten include the top four seeds, who have achieved 3/3 with a minimum of fuss while many of their Grandmaster peers have struggled. 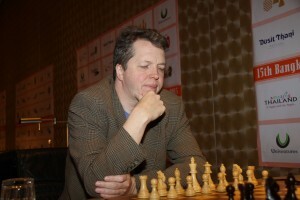 Veteran Singaporean Grandmaster Wong Meng Kong had the worst possible Monday, losing to Indian GM Diptayan Ghosh in the morning round and then being upset by Iceland’s lowly ranked Gunnar Runarsson in the second game of the day. The biggest positive surprise of the tournament has been the performance of India’s Parab Ritviz. Seeded only 82nd, 15-year-old Ritviz has already beaten two of the top 30 seeds to move to 3/3 and challenge the Grandmasters. Thailand has many players just a point behind the leaders best including local star Uaychai Kongsee. 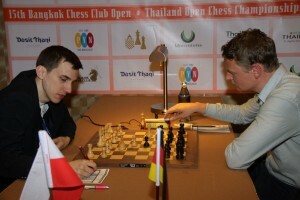 The Thai Open, with a first prize of 100,000 Baht continues until April 19 at the Dusit Thani Hotel, with round 3 beginning at 14.00 local time on Tuesday. Spectators are welcome and may view the leading games on a giant electronic demonstration board.